First Nicotiana ‘Lime Green’ Flower of the season. 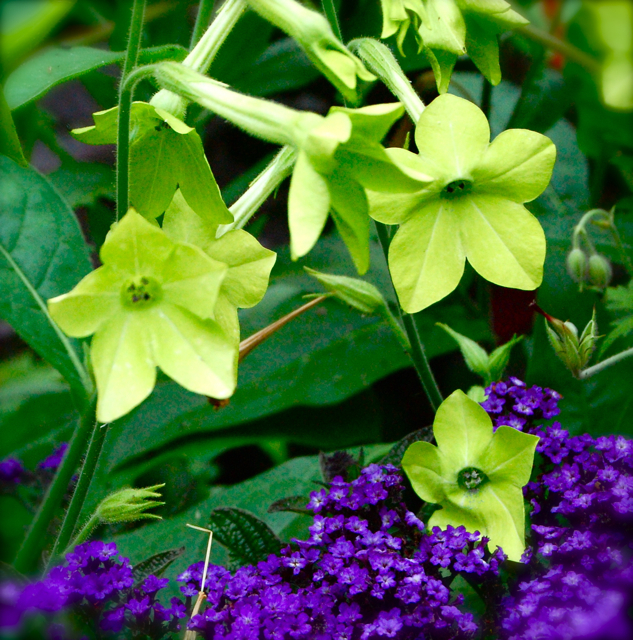 Growing Nicotiana’ Lime Green’ from seed is really easy. To see the first flowers this morning when I visited the Higgledy Garden was mighty fine. To my mind it is somewhere between a foliage filler and a flower…its zesty lemon/green coloured flowers are second to none in the ‘useful department’ when arranging your flowers. Once you have grown Nicotiana ‘Lime Green’ and used it in the vase…you will never be without it in your patch…I swear upon my Granny’s hat. ‘Lime Green’ is an annual…and grows to about 60cm…its flowers are five pointed and up to 5cm wide. The clever boffin types at the RHS have given it an award of garden merit…and they know their onions….so to speak. Try them in the vase with Cosmos ‘Candy Stripe’ and/or Scabiosa ‘Crown’ for the ultimate country style bouquet that will have you splashed all over ‘Horse & Hounds’. 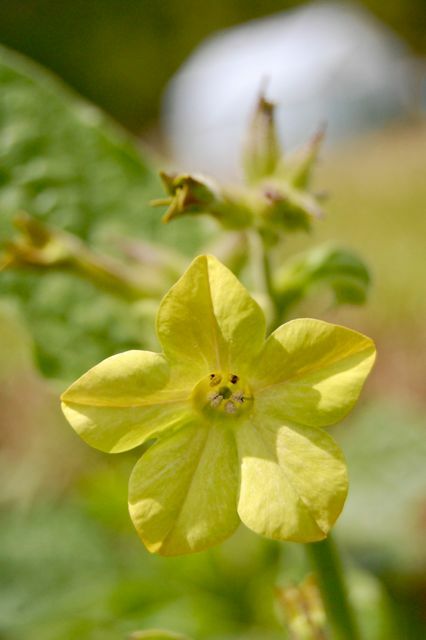 How To Grow Nicotiana ‘Lime Green’ From Seed. *I use a modular tray filled with good quality seed compost. *Sprinkle Nicotiana seeds THINLY (or pinch and drop) on to the surface of this compost….and press them down firmly. *Spray the compost with one of those misty sprayer jobbies and cover with a single piece of newspaper. 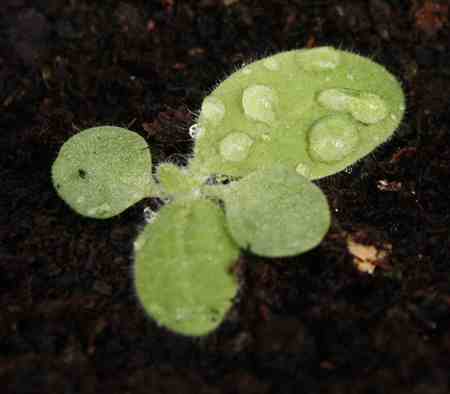 *Do not cover the seeds with compost…they need light to germinate. *Check everyday and keep it damp…not waterlogged. *Keep them on a windowsill in the house, if you are allowed (! )…they like a little warmth. *You may find you get a gazillion more seedlings than you need…this means you have sown to thickly…(Cuff yourself around the head with a dibber)…my method of rectifying this (I do it every year) is to simply destroy the seedlings you don’t need…ie leave one good seedling in every module. You won’t need 678 seedlings…I promise. *Gradually acclimatise your plants to the outside…plants brought up in greenhouses are soft…they need hardening up a bit. I leave my trays outside during the day and put them inside at night…I do this for a week. *Don’t plant out your Nicotiana seedlings until the frosts have gone…usually around mid May…check with Michael Fish first…if there is a hint of a frost coming then hold yer horses. *Space to about a foot apart. I hope you enjoy your Nicotiana adventures. PS Here is a link to what the RHS have to say about Nicotiana. PPS Clicking the FaceBook ‘Like’ button underneath, ensures you a VIP place in heaven…or afterworld of your choice.